stv-is-it shared this project on Thingiverse! Complete and working element in a single print. Allows you to keep the chair lifted from the ground using the table leg. Ideal to be able to use the cleaning robots also in the kitchen and in all the rooms where there are tables with chairs. 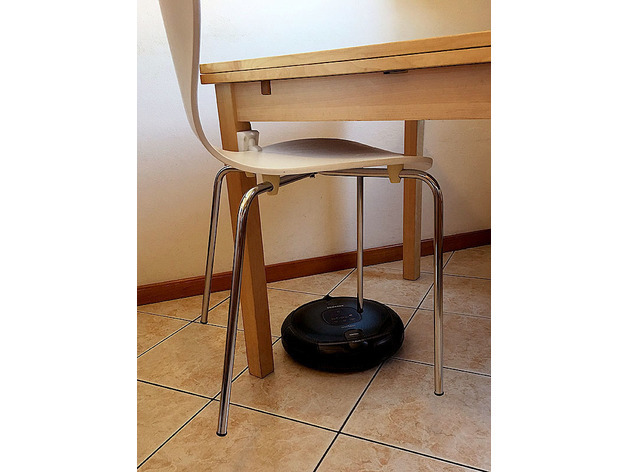 In this way the cleaning robot can perform the best of its work passing under the chairs raised, without risking to get stuck or without being able to pass between them. When not in use, it can “Close” to reduce the risk of getting in contact with the legs of the seated people.